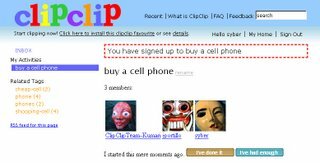 Clipclip is a special bookmarklet site, that allows you use mouse to click once time to save text & pictures while you surfing online. You can share your bookmark with your friends. It is easy & fast.